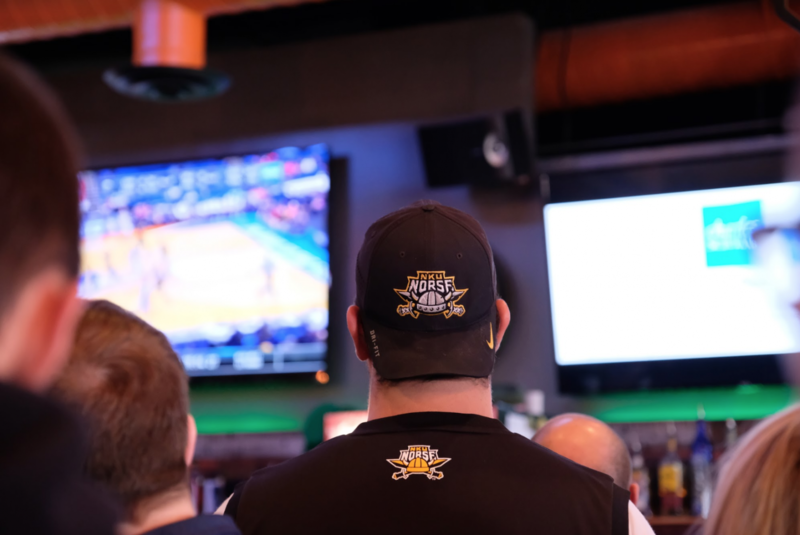 NKU men's basketball fans watch the Norse take on the Texas Tech Raiders in the first round of March Madness. Win or lose, Friday's March Madness game was a match fans should be proud of. Chants of “N-K-U” reverberated inside Mac’s Pizza Pub after the final score was displayed. Students trickling out of the SU watch party shot each other sorrowful glances across the room. Faculty sat eyes glued to the Griffin Hall Digitorium wall as the final buzzer blared. As Norse fans across Highland Heights held each other and hoisted drinks in the air, you wouldn’t have known they were toasting a defeat. For the second time in three years, NKU fell in a first round March Madness match to a top-seeded team Friday. NKU men's basketball fans at Billie's Skyline Tavern watch the Norse take on the Texas Tech Raiders in the first round of March Madness. Norse fans are typically graceful in defeat—the students angrily blasting “Murder on My Mind” while pulling out of Mac’s in their car shortly after the game might be this year’s exception. Unfortunately, loss is a feeling Norse basketball fans are familiar with. Against the number-two Kentucky, they fell 70-79 in Indianapolis during the 2017 Madness. More recently, heartbreak came on the 2018 Horizon League Tournament court: an early exit at the hands of Cleveland State. But there’s a certain electricity that comes to campus when the Horizon League Championship trophy arrives back in Northern Kentucky. Matt Frey, vice president of Student Government Association, pointed out that just being in the tournament alone is a huge boon for NKU. “You can go back to Florida Gulf Coast University, when they made their historic run just a couple years back, and it bumped their applications up a bunch. 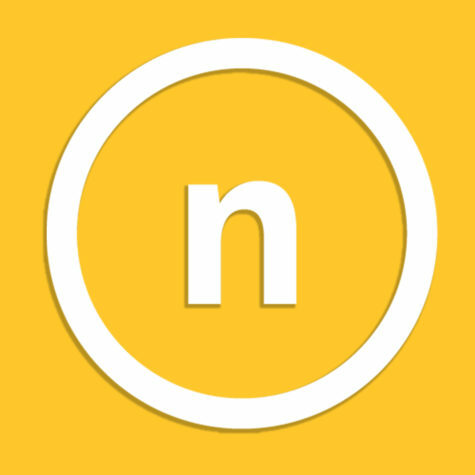 This can do the same thing for NKU. If some prospective student were to go online and see us because of the exposure this tournament gives to us, you never know what can happen,” Frey said. Frey shared his love for the NKU community. “I grew up rooting for Notre Dame because that’s where my grandpa went to school. I always really admired the passion he had for his school, and that’s something that I wanted to have when I went to school. NKU’s having a lot of success on the athletic side of things, and I’m able to engage in that same passion, that same fandom that I grew up seeing my grandpa have,” Frey said. 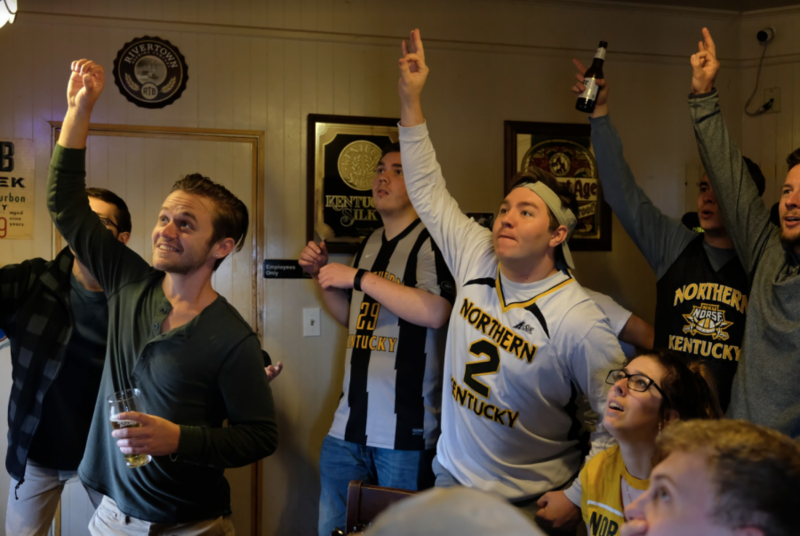 Todd Keirns, an NKU graduate from the class of 1993 and member of the Alpha Tau Omega fraternity, was cheering on his alma mater in Billie’s Skyline Tavern. He shared his love for Skyline, mentioning how he and his friends would often end up there after class. Keirns never thought he’d see NKU in the tournament. Economics major Tiana Nwaisser was cheering on the Norse at Skyline Tavern, as well. Colby Farrell, a sophomore mathematics major, felt that electricity when he came to NKU. He rooted for the Norse in the 2017 Madness, and even when the Norse were down at the half on Friday, he was already booking Sweet Sixteen flights in his head. Towards the end of the second half, senior electronic media and broadcasting major Ryan Murphy offered a less-than-hopeful outlook on a Norse win. Troy Cornes, senior education major and NKU’s former home game master of ceremonies, remarked that the Texas Tech defense was predictably tough on NKU. Applause for points dwindled at the SU watch party when the Norse trailed by 20 with two minutes left in play. Heather Scotty-Ramsey, NKU class of 1996, isn’t surprised to see her alma mater on the big screen. Even after a Norse defeat, she was proud of how far this team has come.